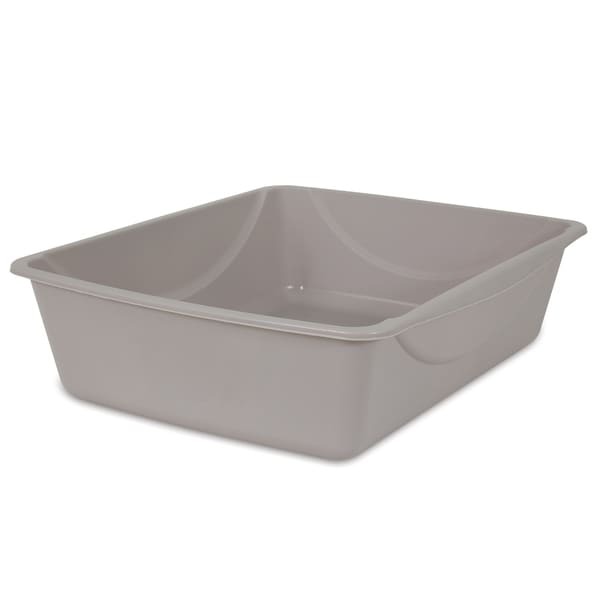 The Petmate Basic Litter Pan is one of the sturdiest litter pans available due to an exclusive design-break pattern that improves structural stability for added strength and durability. The wide profile base helps prevent spills and litter scatter. Features an increased handle area for easy lifting. Made with eco-friendly plastic. Dimensions 14.05 In. X 10.5 In. X 3.5 In.